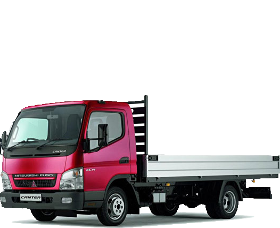 Save A Fortune On Your 7.5 Tonne! We're 7.5 Tonne Insurance Experts! Call Today For Our Best Prices. Please note that an operators Licence is required to get a 7.5 Tonne Lorry Insurance Quote. The backbone of the HGV sector is definitely the 7.5 tonne vehicles. Whether they’re used for transporting goods, equipment, vehicles or even materials, you need to make sure that you’re receiving the correct amount of cover, in the case that anything should happen, and take your lorry out of business, as in most cases, every minute that vehicle is off the road, it costs you and your business money. This is why it’s worth having good insurance cover, that provides you with the compensation you need. Why Choose One Sure for 7.5 Tonne Lorry Insurance? One Sure provide an array of heavy goods vehicle and lorry insurance policies, covering many different areas in the industry, from recovery trucks to vehicles used for haulage. We can give you an insurance quotation that covers every detail of what you need it for, whilst maintaining a price that you can afford. This way you can continue to go about your business, without worry that your lorry and your livelihood is at stake in case anything goes wrong. We have become one of the UK's leading Lorry, Truck and HGV Insurance brokers. Our sales advisors are very experienced in the field, and will listen closely to exactly what you need, and apply it to your policy to keep it matched as intricately as possible to what you’ve requested. We work with a board of over 40 insurance companies to provide you with the most substantial level of cover available for the price, and our strong working relationship with some of the UK’s top insurers gives us access to prices and deals that you will be unable to find elsewhere in the market from any other insurer or broker. With a number of optional extras that you can add to your 7.5 tonne lorry insurance once you are one of our customers, we like to show that our great service doesn’t stop as soon as you take out a policy. Extras such as legal assistance and two months free breakdown cover, will be made available to you, and can be applied to your policy for little more than a five minute phone call. We have a dedicated Customer Service team that are open from 9am until 5:30pm Monday to Friday, and 9am until 2pm on Saturdays who are more than happy to deal with your issues and queries. Our claims line is also open 24 hours a day too, so if you ever need to contact us outside of usual work hours, then we are there for you, regardless of the circumstances. If you would like to contact us regarding one of our 7.5 Tonne Lorry Insurance policies, or are interested in getting a quotation from one of our sales advisors, please call us today for free 0800 912 0157 or try our mobile-friendly number which uses normal provider’s minutes at the standard UK rate. Otherwise, you can fill out our simple online form and we will organise a call for you as soon as we can.